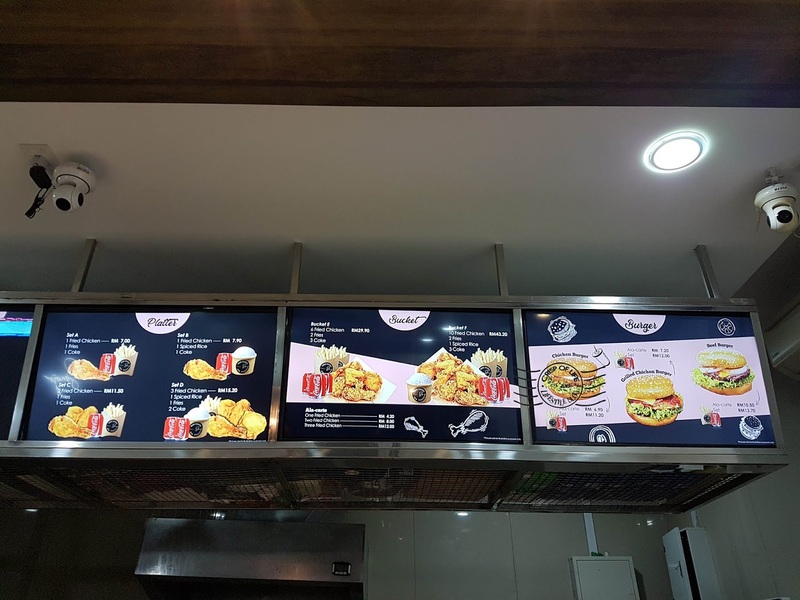 If you have been patronizing Maritime Automall at Karpal Singh drive due to influx of bubble tea shops there, probably you would have spotted Smojo, a small outlet beside Coffeesmith serving American style fried chickens and burgers in fast food style. During our visit, chickens are fried on the spot upon order to ensure freshness. You can have in ala carte, or order in a complete set (comes with French fries and soft drink of your choice). Nevertheless, the fried chicken was falling short of our expectations (smaller chickens and dried meat), and the burger ain't impressive neither. It might be an okay choice if are looking for something to full your hunger and nothing else. More info can look at Smojo Facebook.